A pillar in the GTA real estate community, Robby Singh has over 16 years of real estate sales, as well as over 19 years of real estate investment experience. Robby’s repertoire ranges from luxury single family homes and condos to commercial property. 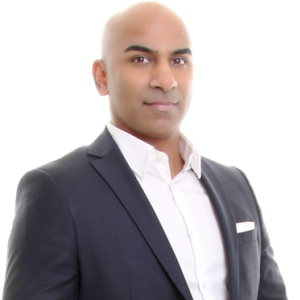 Well-known in his field, Robby’s skills in negotiation and marketing have made him a top realtor in the Greater Toronto Area. Fellow agents often consult Robby on their own properties; this is the sign of a true master of his craft. While his personal and professional investing experience and knowledge have made him an expert, his eagerness to stay on top of the latest trends, tools, and local developments keeps him at the top of this field. Ultimately, it’s the joy and excitement of his buyers who find their dream home, or the satisfaction of his sellers when they sell their property for top dollar, that defines passion for Robby. ​For Robby, the keys to success in real estate are drive, professionalism, and experience. Though he has won multiple 100% Club awards, it's not the recognition or money that motivates him to stay on top, but rather the ability to help his clients fulfill their dreams. He prides himself on providing exceptional service and goes above and beyond to ensure he is exceeding his client's expectations. When you work with Robby, you will find he takes on the responsibility of buying or selling as if he were personally invested in the property. It comes down to Robby simply loving the interaction with people and helping them to make a great investment for their future.